.... even if you don't know where it will lead. I was at professional development last night as part of my district's digital learning series. Shelley Wright of Wright's Room was the guest speaker and challenged me to "rethink" my teaching practice. She shared her experience as she transformed her teaching from that of traditional lecture approach to project based learning. What I took away last night was the challenge to follow the student's interests. To allow them to learn to learn, make mistakes, and do something meaningful in the real world. To some extent, I think I already do this. As a grade one teacher, I do have time in the day for student choice of activity and much of my teaching is close to a project based learning style, however I am not sure how much I truly follow the interests of my students. Yes, they do have choices within my overall theme, but how many times have I asked, "What do you want to learn about?" or "What is important for you to know about?".... not often! I want to learn about lego. I want to learn about tarantulas. I want to learn how cook. I want to learn how to take care of animals. I want to learn how to grow plants (poppies). I want to learn about flowers. I want to learn how to make flower pots. I wonder what these electrical wires do? I want to learn how to make pancakes. I want to learn about trees and leaves. We could go outside and experiment! Myself, "I wonder who will learn more, me or my students?" I think it can work. I'm not sure exactly what it will look like, it will likely be chaotic (I mean more chaotic than it already is), it might not all work, but we will learn. Yes, right, it is past Thanksgiving! At least the Canadian Thanksgiving holiday, but since I'm choosing to think of Thanksgiving as more of an attitude than a day, it does not matter a bit. Am I right? Family. The whole, ever changing group that includes 3 children, hubby, 4 parents, 3 grandparents, 1 brother and family, 1sister-in-law and family, 1 nephew, 4 nieces, aunts, uncles cousins.... You always know you are a part of something greater in a family. Home. I am realizing more and more the importance of a quiet, comfortable space filled with loved ones and treasured objects. A job I love! It is a privilege to share in the learning of precious young students. Great neighbours that drive my kids to school everyday! Friends that will go beyond all expectations to dig up a GIANT sunflower from the grandparents and drive it to my house late one night because she knows how I love doing a sunflower unit with my students and she knows my sunflowers are not blooming! Colleagues that are also your good friends. A principal that both supports and challenges. A husband who is beyond measure. He will build a bench because my students can't reach the smartboard or make a portable pool to race our class boats in. My faith that gives me hope. Health. I appreciate the things I am able to do. The steps that I've taken so far with my students and myself professionally have had very positive results. This has not come without a fair amount of stress in stepping outside my comfort zone and trying new things that I don't know how to do. Quad Blogging has been a very exciting experience for us so far. My class was matched with 3 other classes http://blog.st-barts.bolton.sch.uk/reception , http://kidblog.org/PhoenixKidsK-2/ and http://room10waihibeachschool.wikispaces.com/ . We began by visiting the Waihi Beach School blog is Sept. and making comments to them about their learning (They were looking at heart, lungs etc. from a dead calf that a parent had brought to school. My students were intrigued to say the least!) I mentioned this in my class newsletter and got an immediate reply from a parent of one of my students whose family is from Waihi Beach, NZ! So, the next week we get an email from the school in Waihi Beach that my student, Ollie's grandfather had stopped in for a visit! My students (and I) were amazed! These places and people were suddenly real to them. 2. Our class also joined a Primary Blogging Community that we partner with in a similar way. We have only just begun connecting with this group, but I feel confident we will learn from them, too. We joined with Mrs. Lirenman, Ms. Leech and Mrs. Wideen for a google hangout to read one of the chapters together each week. In this way our classes are connecting and hearing the story being read by different teachers to 4 classes at once. We see all 4 classes on the screen at the same time. We can take turns sharing predictions and listening to each other. While I had practised at home first with Karen and Niki, our first scheduled Hangout with our classes at school came with a little technical difficulty on my end. The three other classes were on line waiting for me and I was unable to join in. The frustration was mounting (students were beginning to lose patience), fortunately Niki across the hall remembered that I needed to switch the wireless access to our school guest access in order for this to work. So, after a few tense minutes on my end we were able to join in the fun. This was my turn to read the chapter and my students first time seeing themselves on the screen which lead to much waving and head bobbing. I have to say that it was well worth the stress of that first time. My students want to know each time we read now, "are we going to 'hangout'?" 4. Making connections within my district is happening via our school's team participating in the Engaging The Digital Learner dinner series. The first of the series was a couple weeks ago when we had guest speaker Dean Shareski sharing about telling our stories (very inspiring). While there, though we met some teachers at our table who are interested in visiting our classes and and sharing practical ideas about managing technology in the classroom which is a big issue for us. We also got the opportunity to meet some of the amazing IT people in our district that help make these things possible. Since then we have had them visit our school to see our needs and how we could improve the finer details for our students (apple TV/ air play). The Primary Teacher's Association in my district also has exciting plans which I a looking forward to. 5. Positive calls home was on my list as well. I have to say I have not done this, YET. I still think it is important, but simply have not got there yet. Soon. 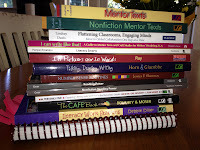 I have heard though, from parents that the implementation of the class blog has been beneficial in connecting our classroom to student's home life. 6. Collaboration within my school is happening! We are fortunate to have collaboration time built into our schedules in the way of buddy time. Next week our big buddy classes take the students to do an activity together while the primary teachers meet to collaborate. The next week we switch roles and the intermediate teachers get the opportunity to meet. I must admit though, that otherwise, I don't get into other classrooms in my school as much as I would like. 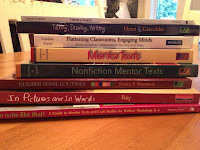 Ok, I think that I am making improvements in my teaching practices through connecting, but I still have much to do. As I'm sitting here (6am, coffee in hand) anticipating returning to the classroom today to set up and get ready for the new year, I'm thinking "What is one thing I'm going to do better this year?" Yes, I told you, obvious right? Sometimes you just have to go with it! So here it is, my plan to get connected! Be a Connected Educator. This is where the obvious comes from because I just signed up to join this site a couple of weeks ago to continue making global connections with teachers and classrooms. I believe in sharing and learning from each other within your class, school, district, country and around the world. Twitter and this blog have been a large part of my quest to connect and I have learned much, but now I want to make this experience "real" for my students. It must improve student learning, not just my own. To connect with each student everyday. Maybe it will be an organized, purposeful method as Amy mentions here or something else, but to connect with each student everyday in a meaningful way letting them know I value them and they are important. To connect with parents. I plan to make use of the phone! I have read about the power of the positive call home here and from Matt here. I can imagine as a mom what that would feel like. Ultimately it gets back to the child. It is empowering for students! Yes, I will use the class blog, Twitter, and face to face interactions before and after school, but calling home is purposeful, individual, and I will reach every parent regardless of work schedule. My school is full of talented, wonderful teachers who do great things with kids. I need to connect with my own staff better. I am a busy mom as well as teacher and when my students go home my thoughts starting turning to my own kids and the pressure to get home in a timely manner is great, however, I would like to visit the rooms of my colleagues on a regular basis. I mean physically walk down the hall or down the stairs, or up the stairs to enter their rooms. I would like to see what they are doing, talk to them, encourage them, or get encouragement. I haven't been good at this, room for BIG improvement here! I want to make some new connections in my district too. I have trouble with this because I am comfortable watching and listening. I do these well! I was a quiet introverted child as I continue to be as an adult. I believe though, that I will benefit from stepping out to make face to face connections. Maybe at district workshops, sporting events or meetings. If I will encourage my students to do this, so should I! Ok, it is in B&W so hold me accountable! As our first day (Sept. 4) quickly approaches I've been asked many times, "Are you ready for a new year?" and "What do you do to get ready?". The short answers are "No" and "Lots". No, I'm not ready for a new year quite yet! While it is true that autumn is one of my favourite seasons, (as much for the fresh start and new relationships the start of school provides as for the weather, food, and clothing that comes with it), I'm so enjoying carefree, flexible days of summer with my own kids. We do live in Canada after all so let's celebrate the seasons! During the school year I find myself pulled in so many directions I have a hard time maintaining a balance between my personal and professional life. I love teaching young children and feel passionate about being the best teacher I can be (as I do about being the best mom, wife, friend, daughter, Christian...I can be). For me, this means much reading, time to think, conversing with my PLN, more time to think, writing, and relaxing. When school ended this past June, it took me a couple of weeks to truly unwind. More than two full weeks of family vacation at the beach never felt so good! The faces of my students from this past year still seam so fresh in my mind however, I am beginning to feel that spark of anticipation and excitement for Sepember and the new little faces. Each is an original, never two the same. Signed up for Global Read Aloud. We will be reading Charlotte's Web and collaborating with classes around the world in many ways. I have to familiarize myself with Edmodo and Skype. Applied for and was accepted for a Flat Classrooms Project and opted to do a spring project. Created a new "class" blog where I will be sharing with families and others as an extension of the learning we do in class. Worked on creating some Smartboard lessons as my Smartboard is new to me as of December this past year. Collected supplies for my classroom. Designed a new floor plan to make better use of the space and accommodate the new technology we have purchased. Planned a couple of field trips. I will be doing a few summer ProD sessions. One with my school on digital portfolios as well as Dr. Stuart Shanker's Self Regulation and Fun Friends. I enrolled in Fins Friends for the 2012/13 school year. While I have done much in the way of preparation for the new year, most beneficial for me has been to relax and enjoy time with my family. I believe I can be a better teacher and more "in the moment" if I am relaxed and refreshed as only a summer vacation will do. So I will be making the most of the next couple of weeks (yes, I will go in to set up my classroom too)! Don't you just love it when your planned lessons are enhanced by a little "spontaneous combustion" so to speak? As I have mentioned before, I am being challenged to keep up with technology in the classroom and so far love (with a little hate here and there) the experience. I am learning to let go of idea of the perfect lesson in place of the I will make mistakes and learn along with, or from, my students. I do find this giving up a little of the control in the class very difficult, but when things start to fall into place and everyone in the room begins to adjust to their new roles fluctuating between instructor and learner, the results are amazing! Just before the break I had an art lesson planned using plasticine in the style of Barbara Reid. While my supplies and books to get ideas from were organized and the students were excited, I was still missing something. Enter my fabulous colleague from across the hall, Ms. Leech, who is also doing the same activity only she is showing her students a youtube clip of Barbara Reid modelling her techniques. So, with the ease of having the Smartboard already setup my students too were benefitting from Ms. Reid's expertise within minutes. Here was the missing link to enrich my students experience with this activity. In opening our doors and allowing others to see in and interact (teach, share and learn) with us, we all may benefit. Yes, I do find the thought of others seeing me teach and make mistakes in the classroom humbling to say the least, but isn't that what I'm asking of my students? I'm trying! I am beginning to see the possibilities of further allowing my students the opportunity to share their learning on a more global platform and interact with others around the world. Exciting! I would love some ideas for direction and opportunities. Spring Break and Looking back on the Year! This spring break has brought a much needed opportunity to relax and reenergize. I was fortunate enough to trade our wacky and unpredictable BC weather for the 90+ degree Arizona climate for a few days (thanks mom!). It felt great to put the worries of the day (current job action stresses, family & household chores, homework - my own as well as my grade 8, 6 & 4 kids to help) aside and spend some time by the pool with my iPad, visit and shop! 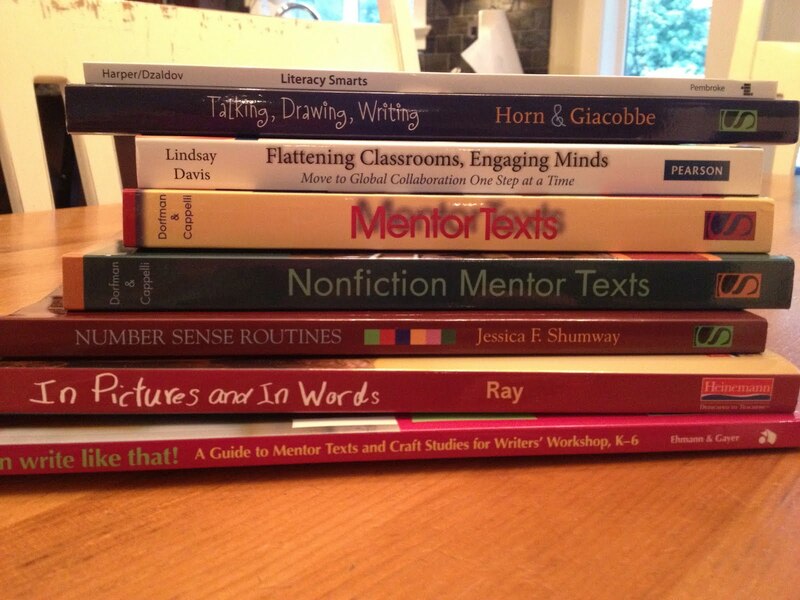 Now that I'm back home, I'm continuing with the goal of improving my teaching! In the course of this past year achieving this has morphed into a more dedicated focus on technology. This is a challenge for me as I am not a "techie"! In preparing to return to the classroom full time this year, I spent last summer covering related blogs and Pinterest for ideas. I was challenged in my thinking and gained many lesson ideas from talented professionals. I jumped into full-time teaching as I tried to keep up with my own professional development on line as well as opportunities through my district. 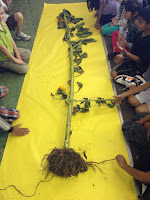 It was at our district ed-camp that my plans to use technology to a greater extent in the classroom really took root. I had just got a Smartboard installed in the classroom and my students and I love using it, but can my grade ones do more? The short answer is - Yes! My friend, Niki and I met fellow grade 1 educator Karen Lirenman, also from our district, who is using technology in so many other ways with her 6 year olds! After some great discussion we made arrangements to meet again where she graciously helped set me up in the world of blogging and showed me how she gives her students a greater voice with their own blogs. 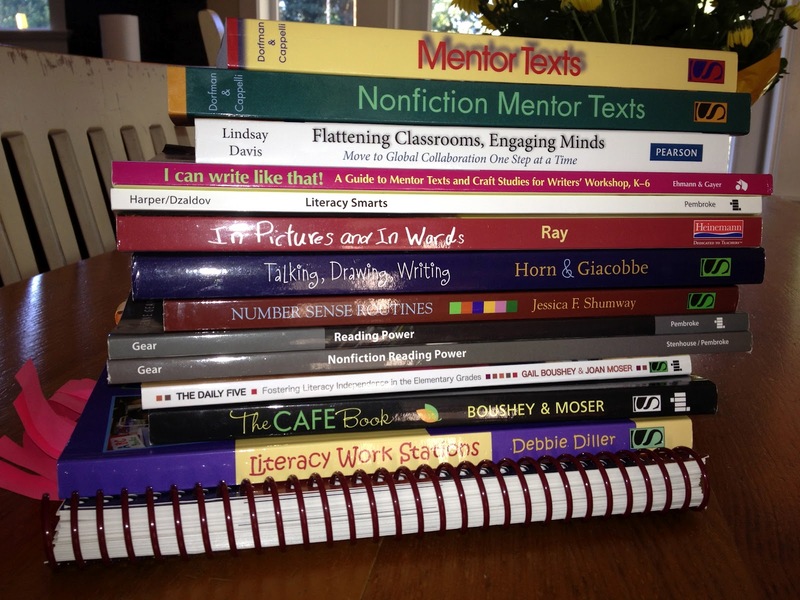 Soooooo, here I am jumping out of my comfort zone with this blog as well as preparing to start my students with individual blogs. I have also been introduced to Twitter which is fast becoming another valuable professional development tool and yes, using iPads in the classroom! This has been a fantastic year in so many ways for me as a teacher and I have never before been so excited about learning. The more I learn, the opportunities I can see......!